.ZIP DOWNLOAD: loaded with validated studies, cross reference sheets, and product brochures. 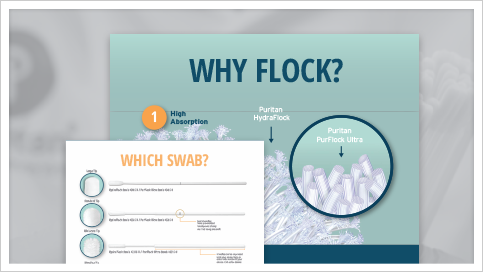 INFOGRAPHIC: a high-res version of our flock swab infographic. VIDEOS: HydraFlock® absorption and elution competitor comparison.